Guzzling, devouring, the words fail to reflect the enormity of it all. Data storage eats up cities' worth of power. Back in March, 3M ran a presentation about data, reminding us there was not going to be anything like a slowing down of data, and then posed the question, ok, so how do we swallow that and at the same time envision a sustainable future? The Engineer on Wednesday: "According to Cambridge Consultants, conventional mediums of storing data – hard drives in data centres, often accessed as cloud services – will no longer be capable of meeting current data storage needs by as early as 2025." Cambridge Consultants posted an answer in a video on October 2. Long and short: DNA storage—using synthetic DNA—for fitting enormous quantities of data into a tiny footprint. They along with Boston, Massachusetts-based Catalog Technologies are on a mission to encode all the world's information in DNA. 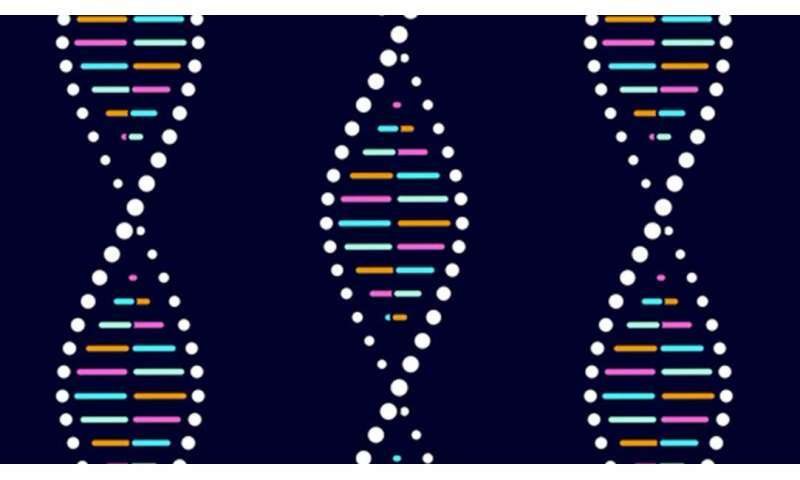 The two, Catalog Technologies along with UK firm Cambridge Consultants, have a partnership and plans for a machine that will encode data in DNA. In doing so, said The Engineer, one could be looking at "a DNA storage solution that could potentially hold all the world's digital data in a space the size of a wardrobe." DNA is nature's data storage is their answer. Its chemical stability means information can be stored securely for thousands of years. Antonio Regalado in MIT Technology Review: "DNA can last for thousands of years so long as it's kept relatively cool and dry." "The machine will scale the encoding process, making it affordable and fast enough for commercial pilots slated for next year," the news release stated. How much, how fast? The machine will consume 1 terabit in 24 hours. They consider this number, however, a "stepping stone" to faster speeds. Hyunjun Park, co-founder and CEO, Catalog Technologies, was quoted in The Engineer. "The machine we are developing with Cambridge Consultants will bring DNA data storage out of the research lab and into the real world." The Engineer on Wednesday remarked how "dual bottlenecks of cost and speed" had so far hindered the progress of similar systems that encode digital data into strands of synthetic DNA. "Data can be stored in the DNA by transposing binary code into the DNA and then synthesising strings of DNA molecules with that code, which is slow and costly." As such, said Park, DNA data storage for business and government use cases was not looking good. Antonio Regalado in MIT Technology Review on Tuesday similarly explained the problem, saying that "converting bits into the As, Gs, Cs, and Ts of the genetic code is slow, and it's a laborious process to retrieve the data. The cost of manufacturing customized DNA is also high, running near a million dollars to store a couple of high-resolution DVDs." The Catalog method veers from traditional thinking on DNA data storage. "As an analogy, assume the information to be stored is a book, which can be stored by copying it. The traditional approach would go about this by transcribing the book from start to finish, letter for letter." Then, "if you want to store a different book, you have to start again from scratch, meaning the cost would be doubled." Instead, their team's approach is like "building a printing press with typefaces." They said that the company rearranges the typefaces, pre-made DNA molecules, to match the contents of the book. Regalado explained their approach, saying that "the process involves combining inexpensive, short, premade DNA strands into longer bits of DNA that carry information." Back to the machine. This is no miniaturized sci-fi wonder with an other-worldly glow. Quipped Regalado: "...this thing is huge. It's no flash drive." Picture "a hulking school-bus-size machine that could one day convert movies or data archives into invisible pellets of DNA." That is how Regalado described it. He wrote in MIT Technology Review with more details. "The rendering shows a door and room enough inside for a couple of technicians. Inside there will need to be a hundred bags or bottles of ready-made DNA, and then an automated laboratory to mix the strands together and perform billions of reactions. You'll also have to squeeze in a DNA sequencing machine—maybe a couple of them—to retrieve the data."